Lion's Eye Diamond ($168.98) Price History from major stores - Mirage - MTGPrice.com Values for Ebay, Amazon and hobby stores! 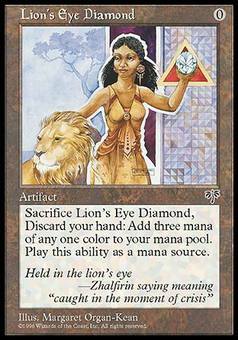 Card Text: Sacrifice Lion's Eye Diamond, Discard your hand: Add three mana of any one color to your mana pool. Activate this ability only any time you could cast an instant. 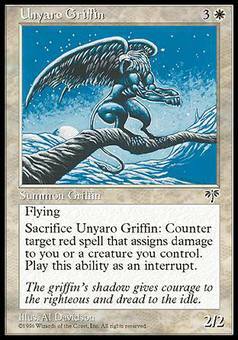 Flavor Text: Held in the lion's eye -Zhalfirin saying meaning "caught in the moment of crisis"